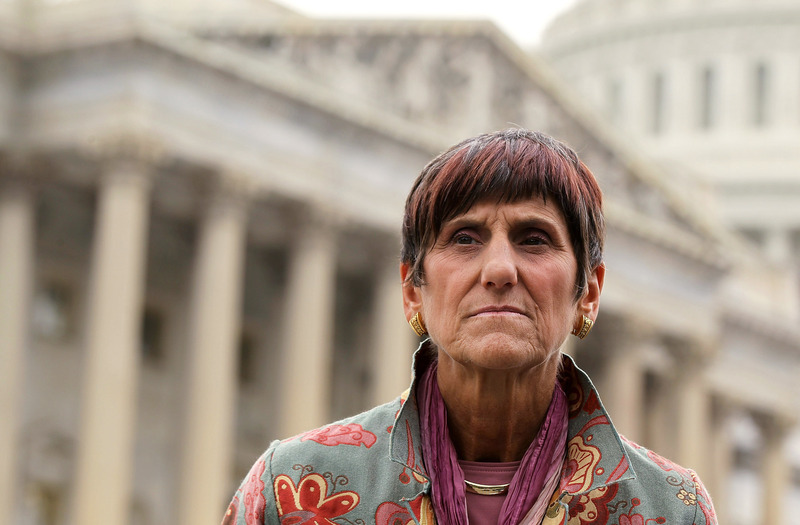 For more than two decades, Rosa DeLauro has been representing Connecticut's third district in the U.S. House of Representatives. She has introduced numerous paycheck fairness and sick leave bills over the years, and has continuously advocated for women's rights. Recently, however, DeLauro has received attention for her fashion, not her politics. There's a tumblr dedicated to her being a "hipster," pointing to her cropped hair and quirky accessories. She's been asked about being a hipster. In a recent interview with The Cut, DeLauro was asked about "not adhering to the skirt-suit uniform" and if this has "always made her [stand out] on Capital Hill." DeLauro tactfully answers the question, saying, "I don’t know if I stood out…I suppose [how I dress is] an expression of some sort, of who I am…But it’s not defining. It’s not who you are or what you’re about. That’s about what you accomplish and what you do." It's a shame that DeLauro's political career has been overshadowed by her sartorial choices. The problem with the DeLauro tumblr isn't that it's mean or anti-feminist. It's that it doesn't force people to exit the mindset that what you wear is more important than what you accomplish. It allows them to stay comfortably under the covers of irony, a place that is fun, yeah, but is often insincere and image-based. DeLauro is a champion for women's rights, and should be recognized as such. We need to stop acting like her fashion choices are remotely relevant to her actions.